Torino gave their fans a sensational early Christmas present as they secured their third successive home victorywith a win against Chievo on Sunday afternoon. As expected, Toro lined up in a 3-5-2 formation with the deadly duo Alessio Cerci and Ciro Immobile up front, and Nikola Maksimovic kept his place in the back three after his impressive performance against Udinese. A mistake from wing back Giovanni Pasquale allowed Chievo to take an early lead, as Gennaro Sardo's pull back was met by Cyril Théréau, who side footed the ball past Daniele Padelli. Former Udinese defender Pasquale was having a torrid time, and Alberto Paloschi should have doubled Chievo's lead, but he was denied by Padelli. In injury time of the first half, a terrible error by Dario Dainelli gifted the ball to Alessio Cerci who fed Ciro Immobile who was able to equalise just before the break. Twenty minutes into the second half, Torino took the lead in sensational fashion when Ciro Immobile cut in from the left hand side before unleashing an excellent low drive beyond Chievo keeper Christian Puggioni. With ten minutes remaining, Toro put the result beyond any doubt on the counter, as the unselfish Alessio Cerci fed Giuseppe Vives to score his first Serie A goal for Toro. 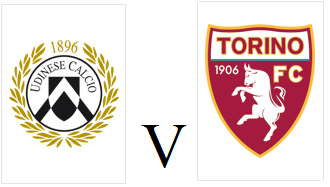 In injury time, Torino ensured that a second home game of the season was to end 4-1 to Toro, as Alessio Cerci ended his mini goal drought by placing a low shot into the bottom corner. This was an extremely impressive victory for Toro, as they came back from the adversity of going beyond before convincingly beating a side who had previously been in impressive form. Torino end 2013 in 7th place, and a top ten finish seems to be an extremely realistic proposition for the Granata heading into the New Year. Torino will be looking for their third consecutive home victory when they face Chievo on Sunday afternoon. Vice Captain Danilo D'Ambrosio continues to miss out ahead of his anticipated transfer in the January transfer window, with the former Juve Stabia man being heavily linked with a move to AC Milan. Elsewhere, experienced Swede Alexander Farnerud, who had impressed during Torino's recent run is suspended, whilst Nikola Maksimovic is expected to continue in defence after his excellent performance against Udinese. 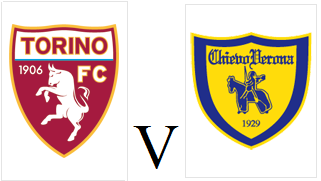 Chievo's form has improved under the stewardship of former Torino midfielder Eugenio Corini, and like Torino, they have won three of their last four games - and have kept five clean sheets in their past six games, so this is a difficult game to predict. Torino produced one of their best performances of the season, as they surprisingly beat Udinese 2-0 on Sunday afternoon. The Granata lined up in a 3-5-2 formation, with Serbian defender Nikola Maksimovic surprisingly given his first start of the season. The home side started well, and the returning Antonio Di Natale had a half chance from six yards but his tame shot was easily held by Daniele Padelli. Toro were also creating chances, and Ciro Immobile should have given them the lead after Alessio Cerci's back heel, but he blazed over the crossbar. However, Toro did take the lead moments into the second half after a blistering counter attack initiated by a tackle by captain Kamil Glik, and ended with Alexander Farnerud calmly lifting the ball over Zeljko Brkic in the home goal. Dusan Basta was the most impressive player for Udinese, and he almost scored an equaliser in sensational fashion, but his long range shot was tipped over the bar by former teammate Padelli. But with fifteen minutes to go, Torino put the result beyond doubt when Matteo Darmian's excellent cross was headed home by Ciro Immobile, who continued his fine run of goalscoring form. Udinese midfielder Andrea Lazzarri should have got a goal back with a free header from a corner, but he missed the target, and Toro were not to be denied a second consecutive clean sheet. This was an extremely impressive victory by Torino as they went to a notoriously difficult place to go, and for large spells outplayed their hosts, whilst being extremely clinical on the counter attack. Torino can end the year in 7th place with a victory against Chievo next Sunday, and in their current form I certainly wouldn't be betting against them. Torino will travel to the North-East of Italy in search of a third win in four matches as they face Udinese on Sunday afternoon. The Granata will be without Danilo D'Ambrosio through injury, and with the full back still not committing to sign a new contract with the club, he could be sold in the January transfer window. Omar El Kaddouri, who withdraw from the starting eleven extremely late on in the victory against Lazio has recovered from his injury and is expected to start tomorrow. Udinese have had mixed results so far this season, and a currently in 14th position - seven places below Torino, although to emphasise the close nature of the league table, only two points separates the two sides. The home side will be boosted by the fact that star striker Antonio Di Natale, who has been Serie A Capocannoniere in two of the last four seasons has returned to the Udinese squad after being sidelined through injury. Torino continued their good run of recent form by winning their second successive home game with a fortunate 1-0 victory over Lazio. A late injury to Omar El Kaddouri meant Toro had to change their team at extremely late notice, with Danilo D'Ambrosio coming into the starting eleven and the Granata reverting to the 3-5-2 formation they had began the season with. Against the run of play, Toro took the lead after twenty minutes when the Lazio defence failed to deal with a Torino set piece and an unmarked D'Ambrosio was left to inadvertently pass to Kamil Glik who gave the home side the lead. Lazio should have equalised moments later, but the Bosnian Senad Lulic somehow managed to head over the bar from close range. And Toro also came close to scoring a second goal, when good interplay from D'Ambrosio and Alessio Cerci led to the Italy international forcing a save from former Toro keeper Federico Marchetti. Before the half time break, Argentine midfielder Lucas Biglia came close to scoring with a low drive from long range, but a great save from Danielle Padelli meant Torino held on to their lead at the interval. The Granata seemed content to try and hold on to what they had in the second half, and Lazio failed to seriously penetrate a well organised Toro defence. However, Brazilian playmaker Hernanes came closest to scoring, but his speculative drive flew narrowly over the top of the bar. Torino should have put the game beyond doubt with a late counter attack in the second half, but top scorer Alessio Cerci wasted an opportunity when well placed. Toro will be pleased with this victory, as despite not playing well they were able to hold on to secure an impressive victory that moved them up to seventh place. The Granata also managed to secure their first clean sheet since the opening day of the season, which shows an improvement in a defence that has struggled at times this season. 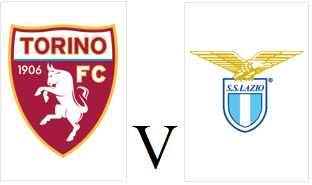 Torino will be looking to continue their run of good form when they face Lazio at the Stadio Olimpico on Sunday afternoon. Toro defender Cesare Bovo who has impressed in recent weeks is out injured, so Torino will have to make at least one change to the team that came so close to beating Genoa last weekend. That change could mean yet another change in formation, although the return of Danilo D'Ambrosio could also see Matteo Darmian revert to becoming one the three centre backs in Bovo's absence. Opponents Lazio have been in miserable form as of late, and have only won one of their last nine matches - and were most recently beaten 4-2 at home by Napoli on Monday. Lazio have their injury problems, and will be without the prolific Miroslav Klose for this fixture. Last season, Torino won this game 1-0 thanks to a late goal from Jonathas in incredibly snowy conditions, which should hopefully not be repeated this time - although another Toro victory would certainly be most welcome. Torino were denied a second away victory of the season, as an inspired performance from Mattia Perin gave the home side a point. Giampiero Ventura reverted to a 3-5-2 formation with captain Kamil Glik returning to the side, whilst Giovanni Pasquale was given a rare start at left wing back in place of the suspended Danilo D'Ambrosio. The Granata should have taken the lead inside a minute, but Omar El Kaddouri, who scored twice against Catania last week, could only hit the post when through on goal. However moments later Toro did take the lead in extremely fortuitous circumstances when Alexander Farnerud's long range strike deflected off the heels of El Kaddouri before creeping into the corner of the net. The away side were taking the game to the opponents, and Mattia Perin the home goalkeeper had to make good saves to first deny Alessio Cerci and then Cesare Bovo who tried his luck with an ambitious long range effort. Croatian defender Sime Vrsaljko came closest to equalising for Genoa when his shot from distance rebounded off the post. This incident led to Toro keeper Daniele Padelli being substituted, and it was rumoured that the former Udinese stopper had been suffering from illness in the first half as well. Padelli was replaced by Primavera product Lys Gomis, one of three goalkeeping brothers Torino have on their books, who came on to make his Serie A debut. At the other end, Ciro Immobile was giving centre back Daniele Portanova a torrid time, but the former Genoa striker was unable to find a way past his former team mate Perrin. Il Grifone got their equaliser with twenty minutes remaining from an unlikely source when Davide Biondini scored after Matteo Darmian was caught out of position. Torino had an excellent chance to regain the lead immediately, but once again Mattia Perin stood in the way as he made saves from Alessio Cerci, and then spectacularly, Ciro Immobile on the rebound. Whilst a point away from home against an in form Genoa side looks like a decent result on paper, in reality Toro will be disappointed not to get the victory that they deserved. However, their performance was certainly an encouraging one, and with winnable games against Lazio, Udinese and Chievo before Christmas, Torino will be hoping for a couple of similar performances before the winter break.